Act Cadenza was the first version of Melty Blood to get a console release. This was a small box of goods released at Comiket 78 to promote the Type-Moon mobile website! Type-Moon FES was an event held to celebrate the tenth anniversary of Type-Moon. There were live perfomances by artists such as Kalafina, LiSA and Aoi Eir, as well as panels and new announcements. 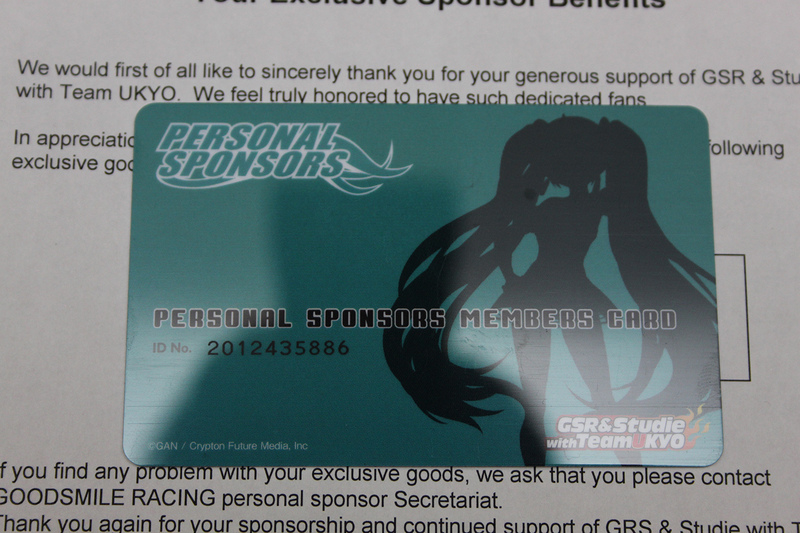 These invitations were given to people who attended. A while back I ordered a custom 1/3 scale model of Saber's Motored Cuirassier. 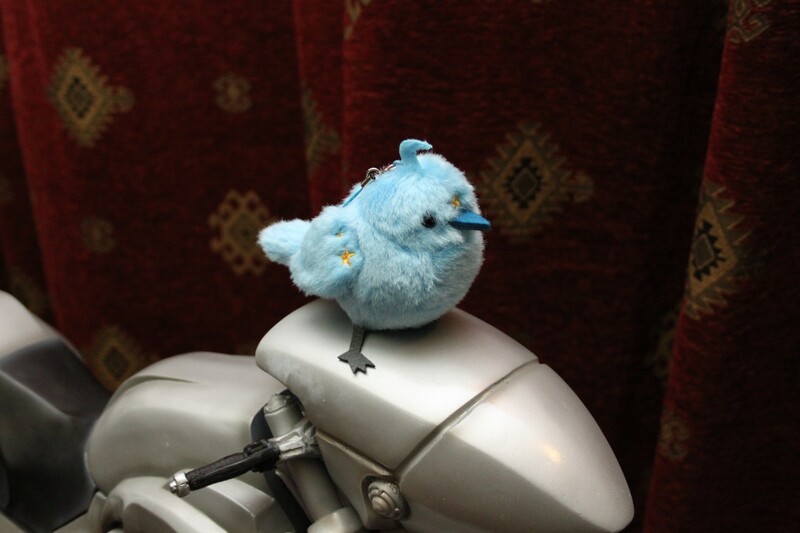 It was made by Valkyrie Gate, a doll company who was selling a limited edition of 35 bikes. It arrived yesterday! I finally got round to getting the original Fate/Stay Night visual novel. This is where the Fate franchise started. 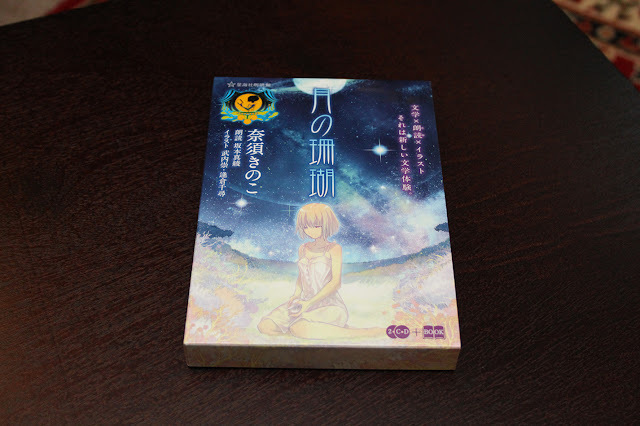 Tsuki no Sango (Coral of the Moon) is a short story by Kinoko Nasu, set approximately one thousand years in the future. Humanity has lost the will to survive, and the earth is largely abandoned. Only a few people remain, living on a small island with someone known as the Princess. Here we have the first press edition of Fate/Hollow Ataraxia, the expansion to Fate/Stay Night that follows on from the events of Heaven's Feel. The one and only original Saber! RubiconHearts is a doujin circle comprised of Takeuchi Takeshi of Type-Moon and Kobayashi Jin, artist of School Rumble. They aim to produce printed works of art that cannot yet be rivalled by digital technology, and their first work is Kyoto, Haru, (Kyoto, Spring) released at Comiket 77. Did they succeed? I'd say so. 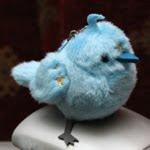 So, it's been a year since this blog was started! I'm currently away from home for a few months doing some work, hence the lack of updates recently. I'm back home in a couple of weeks though, and some nice stuff has arrived while I've been away, so expect a big update then! It's finally arrived! The packaging is pretty great for this. Today's item is figma Mami-san! 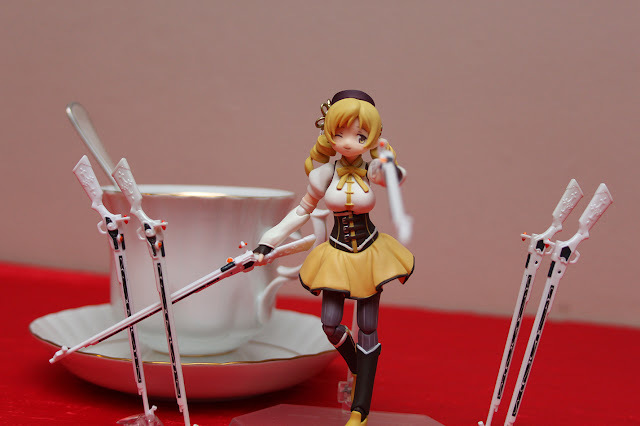 Mami is probably my favorite Puella Magi. Her specialization is summoning hundreds of muskets - Unlimited Rifle Works, if you will. 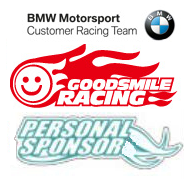 Good Smile Company started a racing team recently, participating in Japan's Super GT racing series. This year they decided to start a 'personal sponsors' program, which basically involves giving them money for various stuff. 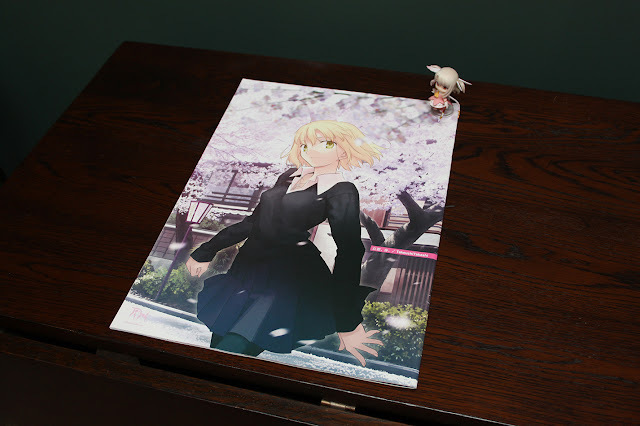 Today we'll be looking at the second version Saber Alter DD! The first release was one of the rarer Dollfies, so Volks released a new version due to popular demand. The sculpt of this version is identical, but her clothes are totally new, and her wig and face have minor differences. The pinnacle of the arts. The flower of Olympia. The tyrant of Rome. In todays words, it's Red Saber! 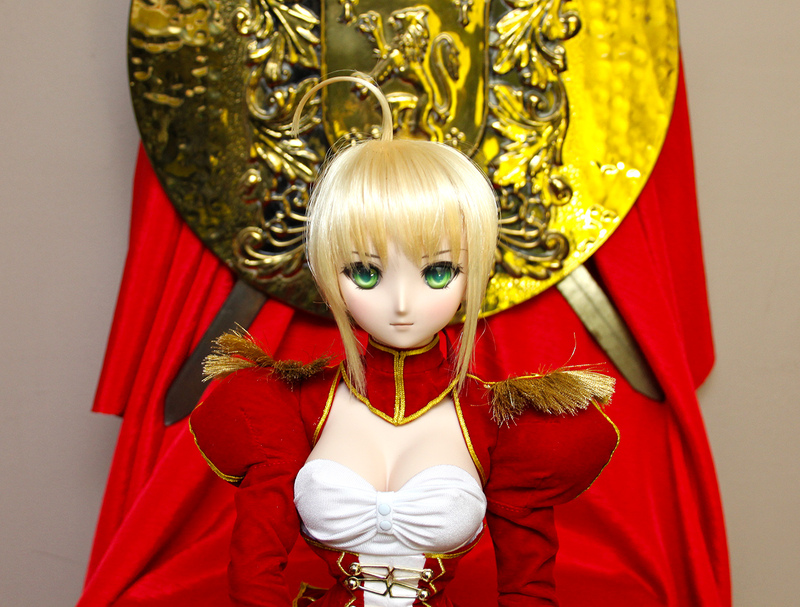 As Type-Moon fans will already know, Saber Extra is a different character to the usual Saber we are familiar with. I've been waiting for this since it was shown a few months ago so it's great to finally have it. The box is really nicely done, I wasn't sure online but it looks good in person. I don't usually collect mechs, but this is one of the best things I've ever seen so I had to order one! 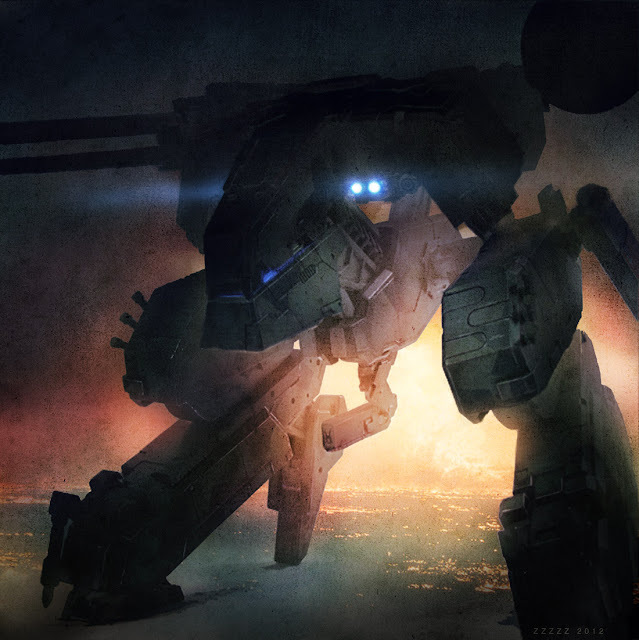 REX is absolutely iconic, I love it's design. They aren't delivered until late August October late January 2013 so for now these pictures will have to suffice. Wow, a post that isn't Type-Moon related! Today I'm showing the long awaited Love is War 1/8 scale statue by Good Smile Company. This was announced over two years ago now as far and was hotly anticipated when it first appeared, and now it's finally out. This figure shows a different side of Miku to usual and is probably my favorite vocaloid appearance along with Meltdown for Rin, which luckily also got a figure a while back. Mahoutsukai no Yoru (Witch on the Holy Night) is Type-Moon's upcoming, perennially delayed, visual novel. It was first due for release in 2009, then 2010, and now the date has finally been set for April 12, 2012. The new date seems fairly solid though, seeing as a playable demo has finally been released. I was impressed enough with the demo to order a few bits and pieces to do with the game.